How can a colony on Mars survive when the greatest danger on the planet is humanity itself? 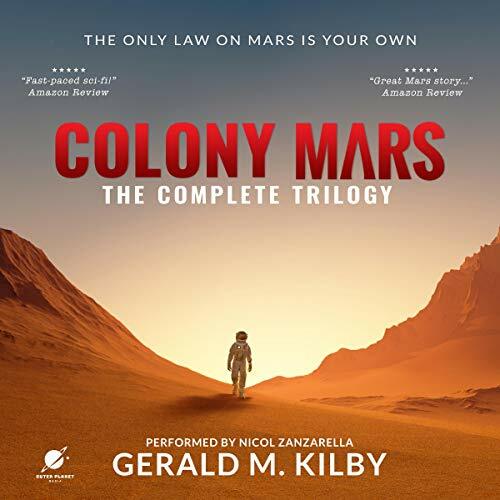 All contact is lost with the first privately funded colony on Mars during a long and destructive sandstorm. Satellite imagery of the aftermath shows extensive damage to the facility. The 54 colonists who called it home are presumed dead. Sometime later, a new mission sets down on the planet surface to investigate what remains of the derelict site, and crew biologist Dr. Jann Malbec soon discovers that the facility had developed into to a full-blown human DNA editing experiment - with unsuspecting colonists as the guinea pigs. However, now that the truth of what was going on in the colony is revealed, powerful Earth-based corporations begin to fight for control of this extraordinary genetic research. But Dr. Malbec begins to realize that returning this technology to Earth could doom humanity to a worldwide pandemic of apocalyptic proportions. She must do everything she can to prevent that from happening - even if it means that she might never see her home planet again. I really enjoyed this story. It is about survival and betrayal. The whole story was really entertaining. Definitely recommend.